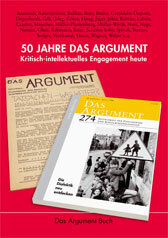 In der Zeitschrift »Das Argument«, Band 280/2009 — Jubiläumsband zum 50-jährigen Bestehen der Zeitschrift — ist (m)eine Rezension des »Peer-Ökonomie«-Buches von Christian erschienen. Auch von mir und in der gleichen Ausgabe des »Argument« erschienen ist eine weitere Rezension: »Die Google-Falle. Die unkontrollierte Weltmacht im Internet« von Gerald Reischl. Hat weniger etwas mit Keimformen zu tun. Hier verbindet sich also Klima- und Ökonomiekatastrophe. Die Vorbereitung für den Krieg um die Nahrungsmittelgrundlagen und für die nächste Spekulationsblase läuft heute, die Commons werden enteignet. Great talk of Michel Bauwens at pixelACHE festival 2009, taking place from 2nd to 5th of April in Helsinki. He discusses traditional socialist theory and compares it with his P2P-approach of change giving a fairly good analysis. As a conclusion he describes his vision in two scenarios: The so called »high road« is a hope of implementing a kind of a green capitalism adopting mechanisms of peer production, leaded und supported by the Obama administration. The second »low road« scenario is a rather dark one assuming that there will be no change from top down and all change only comes from bottom up, which implies that during the decline of capitalism these grassroot initiatives are predominantly »resilient communities« securing their immediate means of live. Alternative Economy Cultures PART 2 from pixelACHE festival. From March 27th to 29th, the Fourth Oekonux Conference (announcement) took place in Manchester. It was great to meet some nice people again and to meet many nice and interesting people for the first time (in real life, that is, since I knew many participants already from virtual communications and it was a good experience to finally meet them in person). Here are some quick notes which I wrote down during the conference sessions and polished and extended a bit afterwards. During the first day, I didn’t took many notes, since I was busy as session helper (moderating the discussions and so on). Stefan Merten talked about Current limitations of peer production, and ideas on how to overcome them. Since Stefan doesn’t like the idea of social agreements between producers which might involve a coupling between giving and taking (as I discuss in my book), he is stuck with having to hope for technical solutions. Computers are machines for making perfect copies of digital goods, and Stefan hopes for machines can take make perfect copies of physical goods—the old Replicator dream.